Investigative journalism can be a tricky endeavour; you are usually investigating something that someone doesn’t want you to uncover. There is also the precarious matter of moving yourself out of the way in order to deliver the most honest depiction of your subject matter. 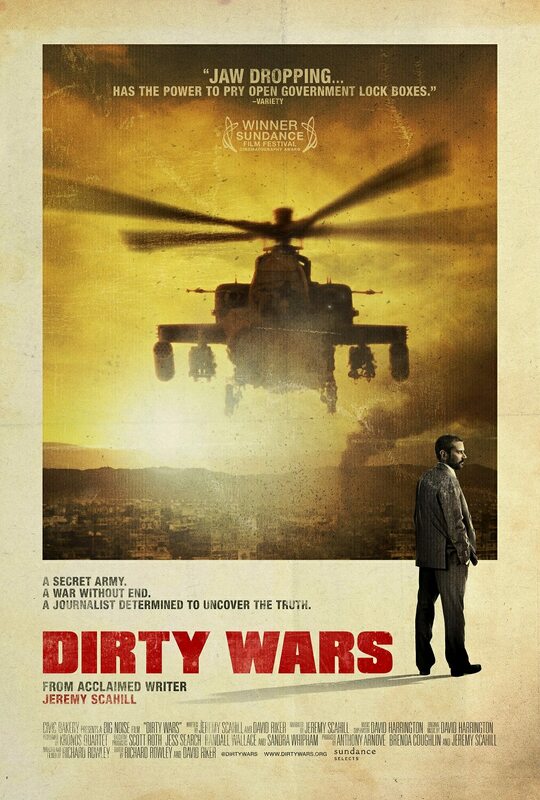 Here, American journalist Jeremy Scahill begins his journey in Afghanistan, goes back to America and ends up in Somalia to see how far reaching the effects of covert operations all over the world are. The revelations are shocking but unsurprising. There are so many facets to war and many of which we are unaware so when you watch a documentary like this it begs the question- Who is the real enemy? Are we complicit in these operations that we know nothing about? Under the mask of democracy and anti-terrorism, the industrial-military complex is seemingly able to do what they want in order to achieve their goal, which is to perpetuate more war. The problem is that here lies the true crime, the turning of a people into an enemy. America has literally created the enemy. If your family was murdered, wouldn’t you want revenge? It is a natural human instinct. Not necessarily right but a true instinct. On a chess board one doesn’t feel any human sympathy for a fallen knight, merely annoyance if it’s yours (unless it is a trap) or elation that you have gained ground on your enemy. This is how the war chiefs must feel; a separation from the human face of it all, they do what they believe must be done. Acceptable collateral damage. Make no mistake that war crimes are being committed every day by people on both sides of the chess board and the bully seems to be winning. It is tragic, insightful, damning and powerful and a must-see. As people have said before me, it was never going to win the Oscar for best doc as it sheds too much negative light on the ongoing activities of the war machine that is both shameful and embarrassing for the American peoples. Jeremy Scahill doesn’t always manage to get out of the way, which is a shame as it would have hit home far harder had he been clear enough to tell the story without bringing too much of himself to the fore. Not to throw the baby out with the bathwater though, this is still definitely worth a watch.